We begin all projects with your requirements. Working with you, we determine the strategy, goals and objectives, scope, deliverables and resource requirements for the project. Then we plan the consecutive steps for appraisal, planning, implementation, monitoring and evaluation. Our broad range of experience, expert personnel and advanced technologies help us tailor our services and products to your needs. We align our resources to ensure that the plan is being managed, and the results are successful. DMS provides desktop project management with web based delivery systems through our proprietary software KOMPASGuide. KOMPASGuide's robust tools allow for comprehensive project planning and tracking. From the initial scheduling of activities and budget creation, to cost control and electronic project documentation, KOMPASGuide offers a complete package for project management. DMS will assist you with all phases of GIS development from planning and prototype development, through programming and implementation, to documentation and support. We are experienced in all aspects of GIS designing, coding, testing, deploying, and documenting of desktop and web based applications. We develop systems for linear corridor mapping, route design, real estate, retail site selection, county tax role management, asset management, and other land related management needs. We work with you throughout the development cycle to ensure that your requirements are met. Our first step is to determine the need for the system: "What do you need the data to do? ", and "What business problems are being addressed?" From your responses, our team creates a detailed project plan. Next, we analyze the information needs of the end users, the business environment and systems currently being used, and document the functional requirements of the system. Then we work with your staff to ensure that the proposed design for hardware, software and data resources meet your end users needs. After our engineers code the system and data is converted or migrated to the new system, our final testing is completed with your staff and end users. DMS has a proven record transforming disparate databases and legacy systems into an advanced geographic information system. We are experienced migrating data from hardcopy maps, drawings, … We can transform your spatial and tabular data from virtually any platform to a GIS environment of your specification, and ensure that your hardcopy or electronic data are secure. When needed, we provide redesign of data layers, projection of vector or raster data from one coordinate system to another, and vectorization and attribution of data from low quality source materials. 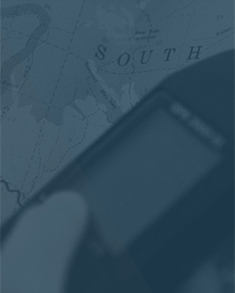 DMS will develop and host your GIS system, and manage your day-to-day archiving processes, in a fail safe environment. We can help streamline your existing operations by eliminating obsolete business operations, outdated tools and costly overhead. We provide the expertise to migrate your legacy system to a new GIS environment, scan your existing maps, update the maps as needed, integrate critical business data, and deliver essential information securely and easily to your desktop over the internet. Our secure storage capabilities offer redundancy. With online, archival, and offsite backups, should a disaster occur at one data center, your data can be recovered quickly. From the collection and handling of paper-based documents, to storage and access restriction to authorized users, we assure security and quality. We'll convert your paper-based records into electronic images, index and store these images for easy on line reference or retrieval, or deliver them to you on a CD. DMS offers large format scanning in monochrome, grayscale or full color in widths up to size E drawings. Scanning resolution is available up to 800 DPI. We'll bring our imaging services to you. DMS offers on-site monochrome and grayscale scanning in formats up to 48 inches by 50 feet. Whether you require a complete document management system, or simply need your maps, drawings or other large format documents scanned, DMS is the secure solution for handling your business critical images. Our qualified team of drafters prepares accurate drawings using state-of-the-art computer assisted drafting methods and technologies. We'll manage an entire project, or provide contract personnel for peak project support. If you require accurate location information for your existing or expanding infrastructure, you can benefit from the quality and efficiency provided by our GPS services. Our dual frequency, real-time GPS equipment is capable of capturing accurate GPS data for most fixed assets including towers, underground lines, pole lines, facilities, and landmarks. Criteria for data collection can be preset so that all collected data matches your GIS or enterprise database ensuring that your data have the integrity you need to map precise locations.